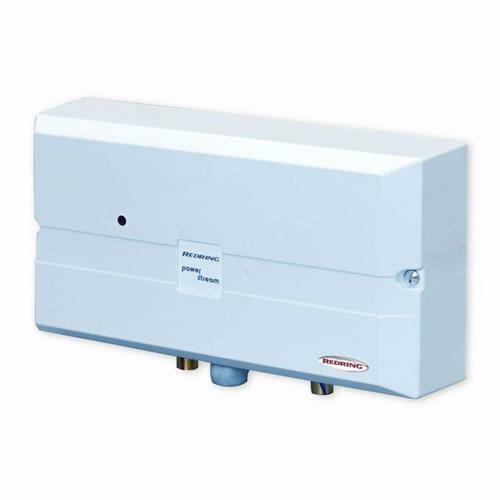 Compact Instantaneous Tankless Under Sink Electric Water Heater Ideal for Bathing or Showering, directly fed by the cold water mains supply with a Temperature of your choice up to 70°C. The Powerstream unvented instantaneous water delivers instant hot water at the point of use. This compact and unique design eliminates the need for centrally stored hot water cylinders saving on electricity usage and important space. This is the 9.5kW unit. Water is supplied to either one or two outlets: Either two hand wash basins or one hand basin and a shower using the dedicated Redring Powerstream Mixer Accessory Kit.